I placed Karl Berger at a PE owned Tier 3 EMS as a VP of Sales. He quickly moved to President and Tripled the company's size. The PE Firm executed a successful exit on time. Karl's excellent track record in EMS Sales executive management benefits his clients tremendously. I recently referred him to a new StepBeyond search client. The client is a Tier 3 EMS in Canada. They were prepared to grow but needed a world class sales organization. Instead of just placing a Business Development Manager with them I referred Karl to them. The client engaged Karl and is excited about what he has done and continues to do for them. Karl Berger founded Fractal Sales Solutions to provide Fractional and Outsource VP of Sales Solutions to companies looking to grow. Through Strategy and Hands On effort, Fractal will: - Assess , train and coach personnel - Implement effective sales processes - Create reliable forecasts and metrics - Align the Sales team with the organization goals. 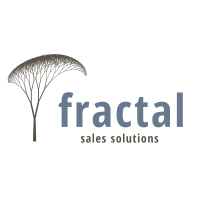 In addition, Fractal Sales Solutions can provide pre- and post- M&A sales assessments to either help a company improve their performance and improve company assessment, or understand the changes required to deliver anticipated growth. ​ABOUT THE OWNER: Karl Berger is the President and Owner of Fractal Sales Solutions. For 20+ years he has transformed companies by leveraging his process focus and diverse skillset with each company’s strengths to drive growth. Having previously been a President and P&L owner, he understands the challenges companies face and the rewards of creating wealth. Karl tripled a DFW-based services company while maintaining above average EBITDA and successfully sold the business to a mid-tier private equity firm. Karl has been a business owner and understands what it takes to deliver customer service and revenue growth. He looks forward to working with like-minded people to help them achieve their goals.